• For Bare Feet adult knee high socks. • Two navy stripes at top. 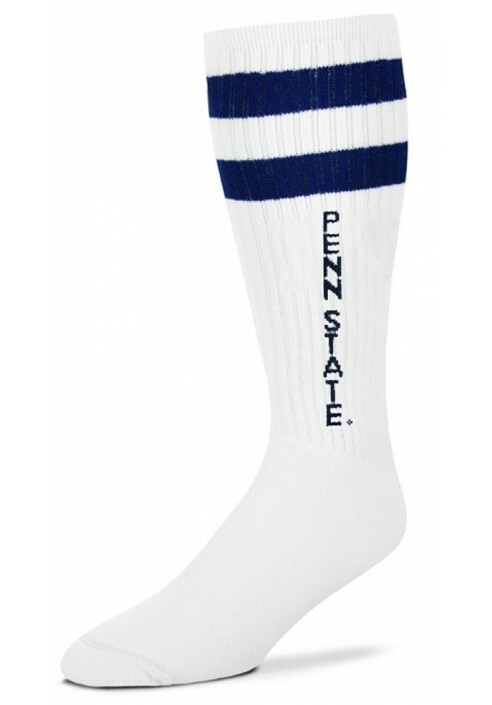 • Vertical "Penn State" on each side of sock. 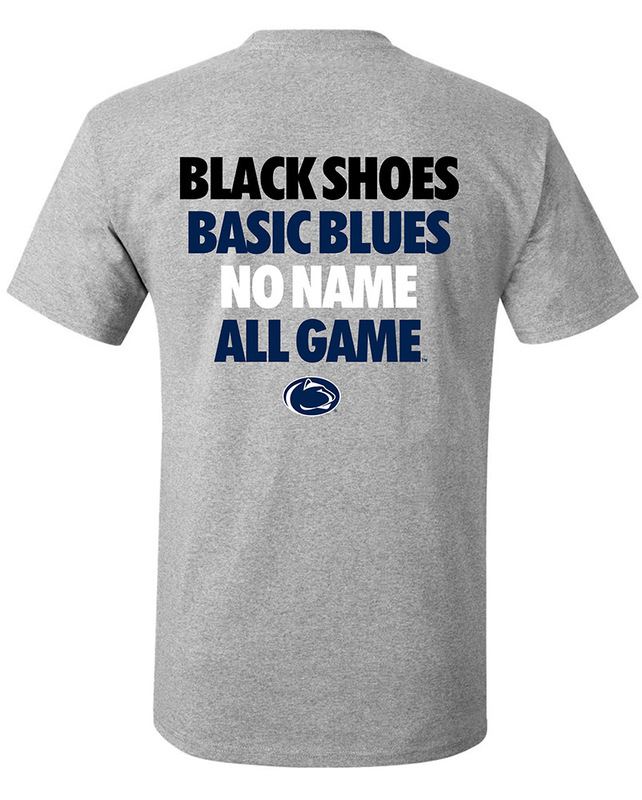 • 75% Acrylic, 22% Stretch Nylon, 3% Spandex.